Venetian blinds are beautiful. People in Singapore love installing these blinds. The names of these blinds have been derived from the name of the city Venice. This is a city of Italy. These types of blinds were used in plenty in that city. The name Venetian is used for the timber blinds. It is known to everyone that the each slat is placed on another to frame the blinds. The slats hung with the help of a tape or cord. During operation of the blinds, the slats are rotated by 180 degrees. These blinds take the credit of being the only types to allow proper ventilation in the room. It also allows clear passage of light into your home. Various materials can be used to manufacture these blinds. 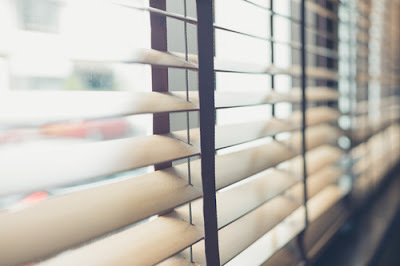 PVC, timber and metal are some of the commonly used materials for blinds. Each material has its advantages and disadvantages. Timber is the most preferred material among all as it is pretty lightweight in nature and in doesn’t change with temperature. PVC is economical but it is quite heavier than timber. The problems with the metal slats are that these get easily distorted. The relevance of colours is myriad. First of all, different colours produce different lighting effects in your room. Apart from that the colour of your room must match the colour of your blinds. If you have installed bulbs of certain colours in your room, then you may have to be specific about the colours of the blinds. This article works as a guide for you to choose different colours and their significance. Here are six Venetian blinds colours to choose for home. Black is a colour which can absorb all the colours. Apart from that black is suitable for all environments. It can go with any other colours. 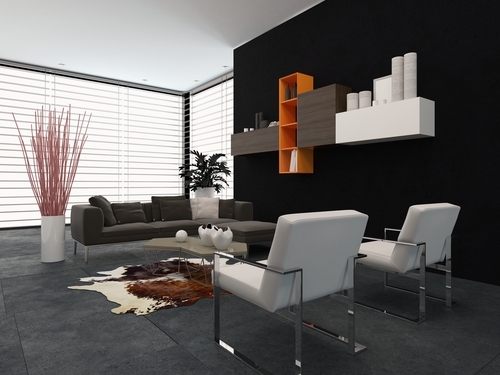 Irrespective of the theme of your room, black is a universal colour. If you are not using tapes with your blinds, your home environment turns into an industrial environment. Some advantages come with some disadvantages. The elegance of black colour sometimes makes your room environment pretty mature. Some people don’t like black because of this reason. White is a popular colour. People like this colour because it adds an aesthetic sense to your room. Apart from the aesthetics, the colour has high traditional value. Even if your room has poor lighting pattern, white colour will help in reflecting light to all the corners of your room. Some people believe that people use this colour if they are biased. Sometimes this is true and sometimes this is false also. The most disadvantageous side of the white colour is that this colour absorbs dust easily. It becomes pale easily. It means you will have to take care of the white slats more often than any other slats. The beauty of white colour undermines the maintenance part. Some people think that if you are considering grey, then you are compromising between black and white colours. Some people also think that this is a dull colour. Some others think that this is a colour of wisdom. When you wish to free yourself from the chaotic world, you should prefer grey as the colour of your slats. It pacifies you when you are in a disturbed mood. Apart from all these negativities, the colour has long lasting lustre. It is pretty classical. You can choose dark brown as the colour of your blinds if you are a hot chocolate lover. 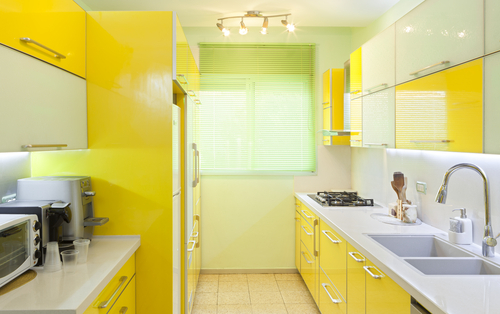 The most colourful aspect of the colour is that it matches with the interior of your room. Most of the homes use wood for constructing their interiors. Dark brown goes well with the colour and texture of the interior design. You can create a colour mix for your blinds. You can keep the colour of the slats white and the colour of the straps as dark brown. Most of the people use this combination for their blinds. If you are using dark brown slats without tapes, you are going to get an expensive look. Light falling on the slats gives an elegant look to worth look at. The colour champagne looks appealing to the eye when you choose this colour for your blinds. This colour is preferred at places like bathroom and study room as this is the colour of joy. You can also consider combination colours for this colour. You can keep the colours of the tapes as champagne colour and the colour of the slats as white. There are other combination colours which you can consider also as per your choice. You can also consider this colour for your living room and bedroom although people don’t use this colour in those places much. Green is the symbol of safety. There is nothing wrong in choosing the colour for your blinds. Generally elder people prefer more decent colours like white and grey instead of green. If you have children in your, you can consider this colour as they love green. Green is good to your eye. It also reflects light in a good way. It means this colour can also improve the scattering of light in a better way. Apart from all these colours that people generally consider, there are also other colours which you can consider for your blinds. You can also have colourless tapes. You can choose red as the colour of the tapes. Red matches the colour of lipsticks. This colour can fill you with the feeling of romance. Apart from red, you can consider colourless tapes for your Venetian blinds. You can choose different colours out of different colours for the slats of your blinds. Some other designs of the blinds include thick tapes. You can also mull over the colour combinations while instaling these types of blinds. These types of blinds are in the trends these days in Singapore.